Chances are, you’ve been on the receiving end of social business for years. Toms shoes, Ben & Jerry’s, and Patagonia are among the best known social businesses that provide products for us to consume and wear daily. More and more companies are choosing to integrate financial and social goals to form benefit corporations, certified b corps, social purpose businesses, and other kinds of social enterprises. These are relatively new classifications. In 2010, Maryland became the first U.S. state to pass benefit corporation laws. In an increasingly cluttered alphabet soup of labels, how can consumers distinguish which companies are truly doing good? Research says we care more than ever before. 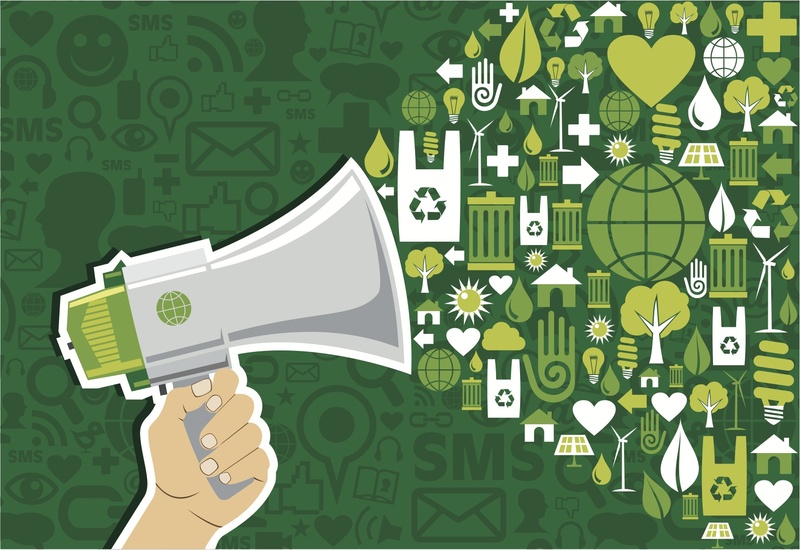 One study says 54% of Americans say they want to buy brands that support “well-being and sustainability.” Are successful social businesses also financial successes? And how do we know we’re not just being duped by marketing efforts to make us feel good about what we buy? after more than a decade in which cost-cutting had been the number-one business priority, the hidden social and environmental costs of transferring production and services to low-cost countries such as China, India and Brazil became increasingly apparent to western consumers. These included such things as the indiscriminate logging of the Amazon basin, the excessive use of hydrocarbons and the exploitation of cheap labour. Often, companies simply donate to charities. These programs are generally unregulated and vary from company to company. The problem is, it’s not at all clear that CSR programs have done a lot of good, especially compared to their potential to make an impact. In an argument leveled at the Founder’s Pledge, Kyle Westaway has argued that, “the pledge allows founders to feel a vague sense of doing good, without asking the particularly hard question about how they are creating the wealth in the first place. If the business is creating a negative impact on society, will giving 2% of the accumulated profits from that business be meaningful?” The same goes for companies choosing if, and how, to do good. Looking at the thousands of new businesses dedicating themselves to double – or triple! – bottom lines is inspiring. The problem is, “We are light years away from a standard set of auditing practices,” according to Mark Graham, Director of Public Sector work at PwC, including social enterprise and impact investing. He stresses that while the field is in its early stages of regulation and establishing best practices, progress is continually being made. Currently, social businesses present financial and environmental statements to be reviewed and companies such as PwC evaluate them based on current best practices. Mark sees a need for a standard process for companies to gain accreditation as well as moving toward industry consensus on how to audit in the future. “We’re all in this together,” he says. “Social return on investment (SROI) is a principles-based method for measuring extra-financial value (i.e., environmental and social value not currently reflected in conventional financial accounts) relative to resources invested. It can be used by any entity to evaluate impact on stakeholders, identify ways to improve performance, and enhance the performance of investments. However, the danger remains that companies are merely paying lip service to social causes. “Greenwashing,” infamously, uses green marketing tactics to deceive consumers into thinking that the company and its products or services are good for the environment. As consumers have become increasingly interested interested green products – both for their own safety as well as the environment’s – companies have taken note. The rise of social purpose benefits, benefit corporations and the rest could lead to “b washing” without set standards. Can All Impact Be Measured? The question of standardizing impact measurements becomes complicated quickly. The conversation can easily slip into one about values. Are all organic grocery stores providing a social benefit? Are all bookstores, or computer companies? Social impact is a broad term, and it’s not difficult to argue that your smartphone is changing the world by helping people connect, helping them track their health and letting family members video chat. Depending what’s important to you, some “causes” may seem more worthy than others – but this doesn’t mean a company is legally a social business. Furthermore, the logistics of determine these metrics are difficult. Inputs are more easily measured than outcomes. An example of this is measuring money spent on schools versus measuring the well-being of children. Certain outcomes are also more easily measured than others. It may be simpler to measure employment rates than a local art scene. With the current shift toward data, monitoring and evaluation, will certain programs get left behind? Can theaters compete with job training programs, and initiatives to improve self-confidence compete with diabetes management programs? The answer is maybe. There is a risk that programs seeking less tangible outcomes will struggle to gain attention. To this point, Mark Graham notes that successful organizations can find ways to effectively measure their impact. He cites a New York theater that created an apprenticeship program for unemployed, untrained youth. The apprentices were given three months to create and stage shows from scratch with the help of theater staff. All 30 participants secured jobs upon the program’s completion – a clear, quantifiable metric. Mark added, “Don’t underestimate the impact of arts and culture, or necessarily take the view that it’s really difficult to measure.” In other words, companies will face the same challenge as before – to effectively tell the public what they do, and why, regardless of sector. When reviewing the records of social businesses to date, controversies pop up right away. Of the relatively small number of high-profile social businesses, few have gone mainstream without criticism of the path they have taken. Patagonia is largely recognized for one of the best social businesses for its commitment to the environment, giving 1% of sales to support environmental organizations, a program that helps repair and reuse gear so it’s not discarded, and commitment to ensuring that its supply chain is ethical every step along the way. However, even Patagonia reported it discovered “modern slavery” in its supply chain once it probed beneath the first tier of supply companies. Toms Shoes pioneered the BOGO (“buy one, give one”) model for its colorful canvas shoes. Since 2006, Toms has given away more than 35 million pairs of shoes in 60 countries. Now, the BOGO model has spread to eyeglasses, condoms, and snacks. While the marketing was a success, over time doubts have emerged. The distribution of free shoes, for instance, was found to hurt local businesses. Diving into the world of social business, you can see the field narrowing as you proceed. If you start with the multitudes of businesses proclaiming to make an impact, proceed to the companies that integrate social goals into their business models (such as employee policies and LEED-certified office buildings), and end up with the companies who have succeeded with these models, you get a much smaller number. Smaller still is the self-selected group that has weathered controversy and emerged stronger from it. In the absence of standard regulations, transparency may just be the most reliable gold standard for real impact that consumers have. For example, when faced with consumers complaining about a decline in product quality, Ben & Jerry’s invited a small group to tour a factory for a view behind the scenes. Patagonia was not required to examine or disclose second-tier suppliers, but took the initiative to do so, publicized the results, and established new practices to make improvements. Toms hasn’t commented on its model, but is now developing local manufacturing in some countries, such as Haiti, where it has distributed shoes for free. A willingness to consider criticism and openly seek ways to improve is a truly integrated approach to social business.